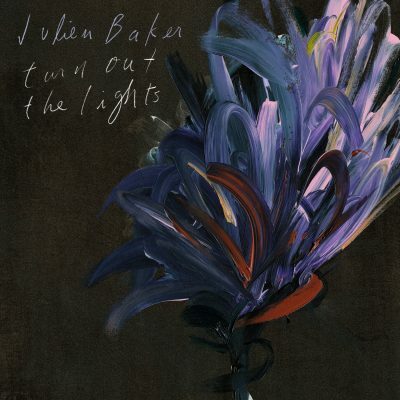 In Turn Out the Lights, Julien Baker jumps into bed with her most lucid nightmares and sings them to sleep. Baker’s acclaimed 2015 debut, Sprained Ankle, was largely stumbled into, recorded over the course of just a few days over a winter break from her college studies. The stark and harrowing honesty of the then 19-year-old Baker and her guitar resounded with listeners and set the tone for her exploration of the human condition as a songwriter. In her second release, we hear Baker plunge intentionally deeper into her darkest, most chilling experiences. Baker treats us to more piano this time around, digging into undulating compositions that ring in both ears and heart. “Claws in Your Back” underlines Baker’s urgent desire to reconcile good and evil—in relationships, religion and recovery from addiction and mental illness. The seething piano and feverish lyrics make for a bitterly optimistic closing to Turn Out the Lights. Baker sings, “I think I can love the sickness you made,” offering herself up for sacrifice in place of being a helpless bystander to friendship’s agony.